-Where Hunters Go to buy from Hunters! All items that qualify for free shipping are sent out as standard home delivery via ground. If you need it quicker we offer Air Express as an option but it costs more. If an item qualifies for FREE SHIPPING it will state it clearly in the title of the item itself. Any item that does not say free shipping in the title does not qualify. Most orders placed before 3pm M-F usually ship same day. All orders placed Friday after 3pm through Monday morning will ship on Monday evening. Unfortunately, free shipping only applies to the continental United States. International, Alaska, and Hawaii will not fall under free shipping. 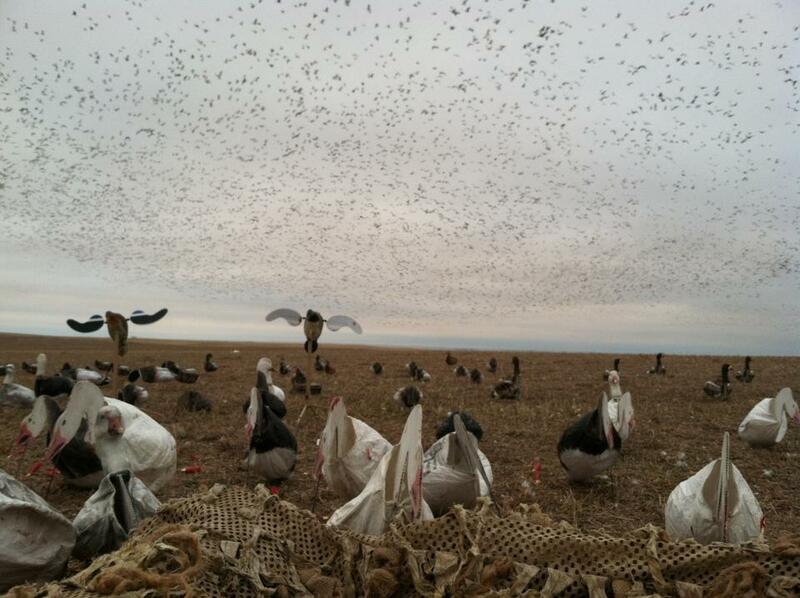 Prairiewind Decoys was created to provide a one stop shop for waterfowlers. We carry all the top brands of duck and goose decoys. We stock Sillosocks, Windsocks, Fullbodies, Shells, and Floaters. We also carry an extensive line of accessories. We work hard to provide you with knowledgeable and fast service. Generally, orders are shipped within 24 hours. Most are shipped the same day as the order is placed. We have shipping options for Express, 2nd Day, and Overnight. We also ship Internationally right from our cart. Large orders can be palletized and shipped LTL to save you money. THE BEST REALISTIC PORTABLE WINDSOCK DECOYS AVAILABLE TODAY!!! These patented windsocks are available in snow goose, blue goose, juvy snow goose, canada goose, specks, cranes, and mallards. They have full body appearance with motion like a windsock with the portability of a silhouette. Wind is not required for full body appearance due to integrated support system. With wind they waddle with a subtle head motion that simulates feeding geese. Compare SilloSocks to other windsock decoys. Sillosocks head and body are permanently attached eliminating lost heads. Unique stake system is virtually invisible and since the head and body move together the windsock can t tangle around the stake. They are the most portable compact full body appearing decoy on the market. You can be confident in knowing that prairiewinddecoys.com is a verified Authorize.Net merchant. Authorize.Net is committed to providing its merchant customers with the highest level of transaction processing security, safeguarding customer information and combating fraud. More merchants trust Authorize.Net than any other payment gateway to process their ecommerce transactions securely.